The Manufacturing of the Future must change: The objective is to achieve a highly flexible, individualized, efficient and resource-friendly production at a cost position similar to today’s mass production. The vision of tomorrow’s manufacturing, already declared to become the “Fourth Industrial Revolution” is as follows: products organize and find their way independently through the production process. In smart factories, smart machines, smart materials and smart products communicate with each other, alternately driving production, being interconnected and traceable at all times within an “Internet of things”. The U.S. government is inching closer making this Fourth Industrial Revolution reality. It understands the importance of developing innovative manufacturing strategies and plans to provide up to $1 billion in funding for the establishment of a national network of research institutes and businesses. Public authorities are responsible for making ubiquitous broadband networks available, and industry needs to put data standardization and transmission protocol systems into place in a timely manner. In Germany, the corresponding initiative is called “Industrie 4.0” and a joint approach of businesses, academia and research institutes supported by government agencies to further strengthen the power of German engineering and production. This keynote will provide a comprehensive summary of the German initiative and a first comparison to the activities in the U.S.
Kurt D. Bettenhausen is the Automation and Control Technology Field Leader (AUC TF) for Siemens Corporate Technology. Headquartered in Siemens Corporate Technology’s Princeton, New Jersey office in the USA, the AUC TF is one of 12 technology fields within Siemens Corporate Technology chartered with developing technologies with a broad impact for Siemens divisions worldwide. Based on deep experience in signal processing, robotics, lifecycle engineering, data analytics and mathematics, the AUC team provides methods and software modules to simulate, optimize, operate and control systems and processes. Before joining Corporate Technology, Dr. Bettenhausen headed up the Engineering and Consulting Business of Siemens’ Industrial Automation Division based in Frankfurt, Germany. He began his career in the corporate research and technology department of Hoechst. Later, he held senior positions in marketing, sales and product management at Axiva. Dr. Bettenhausen attained a master’s degree and a Ph.D. in electrical engineering from the University of Darmstadt and is a member of the advisory board at the University of California-Berkeley’s College of Engineering. The Internet has lived through several phase changes in computing: from large time-shared mainframes to personal computers to mobile devices. The next phases are pretty clear today: they include IoT, networked vehicles, and implanted devices. Having lived through all of these, I see a painful tendency to repeat the same assumptions at each phase change. First, Internet protocols are (not suitable/too complex/etc.). Second, we can deal with network management later. Third, we cannot afford to think about details like security at first. For any of these future phases, any or all of these assumptions might be true, but past history would suggest otherwise. With respect to security, for example, we now have both cars and pacemakers that can be remotely hacked to induce death or bodily harm. We are witnessing a new revolution in computing and communication. The Internet, which has spanned several networks in a wide variety of domains, is having a significant impact on every aspect of our lives. 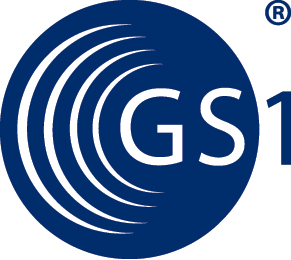 The next generation of networks will utilize a wide variety of resources with significant sensing capabilities. Such networks will extend beyond physically linked computers to include multimodal-information from biological, cognitive, semantic, and social networks. This paradigm shift will involve symbiotic networks of people (social networks), smart devices, and smart phones or mobile personal computing and communication devices that will form net-centric societies or cyber-physical social systems. These devices – and the network — will be constantly sensing, monitoring, and interpreting the environment; this is sometimes referred to as the Internet of Things (IOT). The symbiosis of IOT and social networks will have significant implications for both the market for advanced computing and communication infrastructure and the future markets – for nearly 4.5 billion people — that net-centric societies will create. In this talk I will discuss a future vision for healthcare, which will involve smart phones, smart devices, and social networks, and research challenges associated with the emergence of such a smart networked society. This talk is dedicated to the memory of my nephew, Sirish Bhumi. 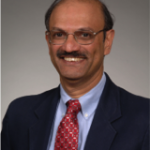 Ram D. Sriram is currently the chief of the Software and Systems Division, Information Technology Laboratory, at the National Institute of Standards and Technology. 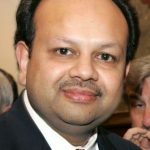 Before joining the Software and Systems Division, Sriram was the leader of the Design and Process group in the Manufacturing Systems Integration Division, Manufacturing Engineering Laboratory, where he conducted research on standards for interoperability of computer-aided design systems. He was also the manager of the Sustainable Manufacturing Program. Prior to joining NIST, he was on the engineering faculty (1986-1994) at the Massachusetts Institute of Technology (MIT) and was instrumental in setting up the Intelligent Engineering Systems Laboratory. Sriram has co-authored or authored more than 250 publications, including several books. Sriram was a founding co-editor of the International Journal for AI in Engineering. In 1989, he was awarded a Presidential Young Investigator Award from the National Science Foundation. In 2011, Sriram received the ASME Design Automation Award. Sriram is a Fellow of ASME and AAAS, a member (life) of ACM, a Senior Member of the IEEE, a member (life) of AAAI, and a member (life) of the Washington Academy of Sciences. Sriram has a B.Tech. from IIT, Madras, India, and an M.S. and a Ph.D. from Carnegie Mellon University, Pittsburgh, USA. The broad spectrum of disruption anticipated by the increasing diffusion of connectivity is likely to reshape the “nature of the firm” through its influence on transaction cost economics. The networked physical world may connect known atoms to bits and unknown unknowns to spur non-obvious relationship analysis and trigger socio-economic disequilibrium. Sometimes the period of change is an age of hope, sometimes it is an age of despair. The Fall of the Roman Empire occurred in a prolonged age of despair. Steam, Democracy and IoT belongs to an age of hope. Shoumen Palit Austin Datta is a Research Affiliate at the School of Engineering, MIT and Senior Vice President for the Industrial Internet Consortium (IIC). He expects to participate in transforming the vision of IoT and the industrial internet into reality by connecting dots and catalyzing data to unleash information and actions which may “weave themselves into the fabric of everyday life” and influence the future of business as well as lifestyle technologies which may eventually “lift many boats” locally and globally. Prior to joining the IIC he was the Co-Founder and Executive Director of the MIT Forum for Supply Chain Innovation at the School of Engineering, Massachusetts Institute of Technology (MIT). He co-taught Strategy and Management at the Alfred P. Sloan School of Management, MIT. He was a Member of the Auto ID Center at MIT and Research Scientist in the Engineering Systems Division at the School of Engineering, MIT. He has lectured worldwide on technology innovation and offered courses for executive education at MIT and several other institutions in Europe and Asia. He has authored papers and articles related to evolution of the industrial internet, intelligent software agents, framework for predictive analytics, operations and supply chain management, sensors in healthcare systems and energy for a sustainable global economy. He has also worked as an independent consultant and advisor for a variety of major corporations and governments, including the US Department of Defense (DoD), United Nations (UNDP), the World Customs Organization (WCO) and the President’s Science and Technology Advisory Group (PSTAG) for the President of Taiwan, Government of Taiwan. He is a lifetime champion of STEM in public K-16 education. Shoumen earned his PhD from Rutgers University (NJ, USA). He was a Research Fellow in Medicine at the Massachusetts General Hospital and Instructor in Medicine at Harvard Medical School, Harvard University. He was a Research Associate at the Whitehead Institute at MIT and a member of the Human Genome Project at MIT. He was a Research Scientist at the University of California (UCSF) School of Medicine (San Francisco, California). His self-guided convergence of medicine into engineering was precipitated by a trinity of events which germinated during his research in neuro-endocrinology at Harvard followed by auditing AI courses at MIT and network engineering lectures at the University of California at Berkeley.